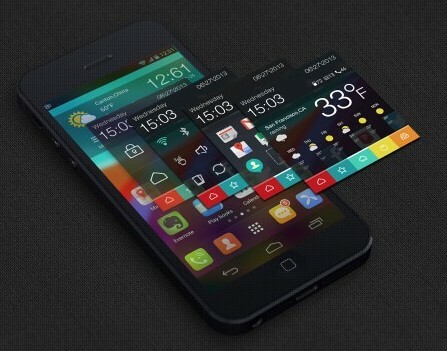 The case of Sungy Mobile’s GO Launcher and other apps of GO Series has inspired many Chinese developers. Apart from paid items/services and advertising, what leaves room for imagination is mobile gaming, which is regarded by Chinese tech entrepreneurs as one of the most lucrative Internet businesses. Finally Sungy Mobile would tap into mobile gaming this year by partnering with game developers both in and outside China, as Deng Yuqiang, CEO of the company, said on the company’s first post-IPO earnings conference call. Promoting games through widely-adopted free software works well in China, so Chinese want to see whether it works in some overseas markets too. Mr. Deng said they’d possibly invest in game publishers or buy exclusive rights in 2014. But instead of focusing on overseas markets only, Sungy plans to expand back to China this year, according to Mr. Deng. He said they’ll localize the GO series for Chinese users. It is widely acknowledged that users in Western countries, where Sungy Mobile claims a majority of their users are, prefers cleaner design while Chinese users are able to tolerate more crowded webpages or mobile home screen. To promote the GO series, the company will partner with leading app distributors such as Qihoo 360 and Tencent. Mr. Deng also mentioned several Chinese Internet companies as advertisers, such as flash sale site VIPShop and online video service Youku-Tudou. The company has seen 30% of user growth from China. Of the rest, 50% were from the US and 10% from Europe. User growth was faster in developing countries such as India and Russia, according to Sungy management. Sungy reported 94 million monthly active users in the fourth quarter of 2013. Another Chinese Android launcher developer I interviewed recently thinks there’s little room for GO Launcher to place more ads. The company recently acquired ad network GetJar to improve advertising efficiency.